Product prices and availability are accurate as of 2019-04-06 05:13:00 EDT and are subject to change. Any price and availability information displayed on http://www.amazon.com/ at the time of purchase will apply to the purchase of this product. 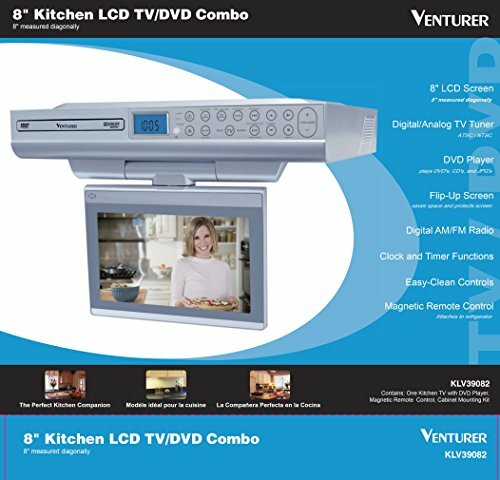 Enjoy the companionship of the KLV39082 eight-inch undercabinet TV/DVD combo as you work in the kitchen. The space-saving design features a flip-up screen that flips around and up safely tucking it away while it’s not in use. 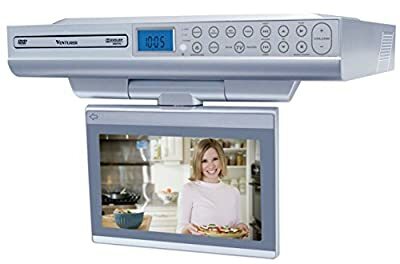 You’ll be able to enjoy your favorite TV shows via the ATSC/NTSC tuner, your favorite movies with the built-in DVD player, and your favorite tunes with the AM/FM radio with digital tuning. Use the clock and timer functions to bake a cake or roast a turkey. Follow along with your favorite cooking shows to prepare new dishes to impress dinner guests. The KLV39082 includes a magnetic remote control so you can store it on your refrigerator for easy access.